Today, information technology professionals are in greater demand than ever and have become a dominant force in many industries. With such recognition, it’s critical that the profession continues to maintain and grow professionals who are committed to keeping up-to-date with the fast-changing technological world. 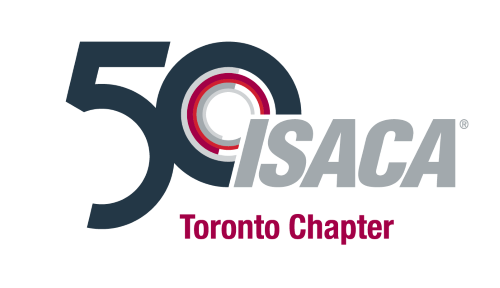 As part of its strategy to continue to expand educational opportunities for its members, ISACA Toronto Chapter has a strategic collaboration with University of Toronto School of Continuing Studies to support the development of two new professional development certificate programs Strategic Management of Enterprise IT (SMEIT) and Cyber Security Management that are broadly aligned to the domains of CGEIT and CISM. The SMEIT Certificate, designed for senior and mid-level business and IT managers, focuses on a holistic and integrated approach to governance and management of enterprise IT. The Certificate in Cyber Security Management, a broad-based educational program that provides a range of in-demand cyber security management skills, is designed for professionals seeking managerial responsibilities in the critical area of cyber security. For more information please click here.